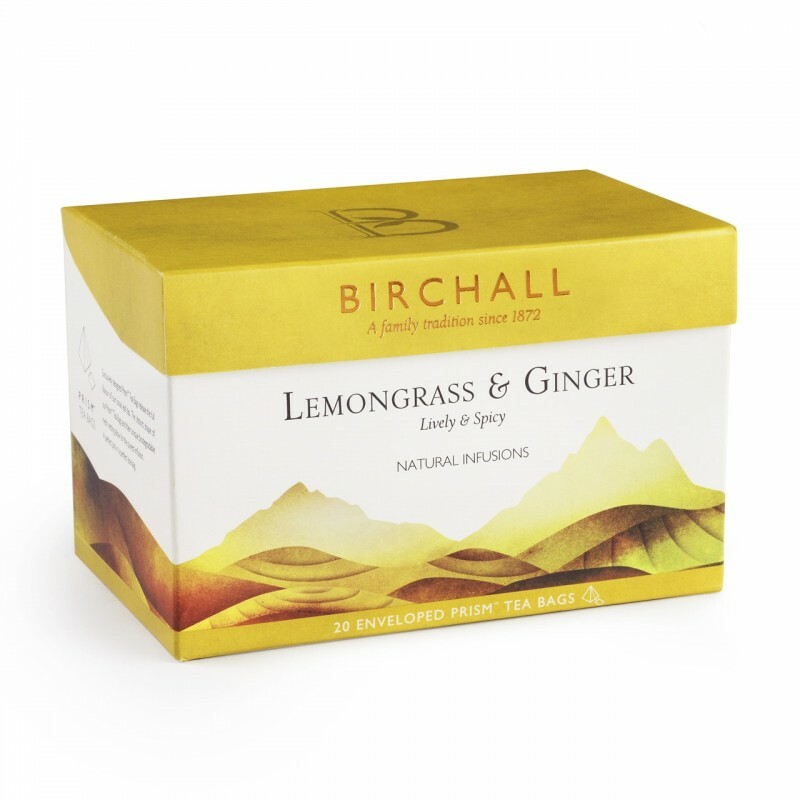 Birchall Natural Infusions Lemongrass & Ginger, 23p per bag. 20 exclusively designed individually enveloped Prism Tea Bags per box. A warming herbal tea made with pure lemongrass and spicy ginger pieces. Ginger root aids digestion and Lemongrass soothes, combining perfectly in this infusion to revive and lift your mood. Using only the finest batons of lemongrass and pieces of ginger blends to produce a woody and citrusy aroma and a pale golden colour when brewed. Naturally caffeine free. Great Taste Awards Gold ** Winner.